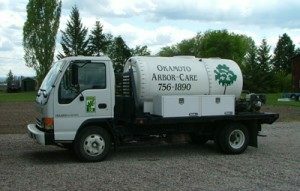 Okamoto Arbor Care has been providing the Flathead Valley with exceptional Plant Health Care since 1995. Your trees and shrubs are a valuable asset to your home and deserve top-notch care. Entrust their care only to a qualified, Professional Certified Arborist. An arborist is a specialist in the care of individual trees. Arborists are knowledgeable about the needs of trees and are trained and equipped provide proper care. Well-cared-for trees are attractive and can add considerable value to your property. Pruning or removing trees can be dangerous work and should be done only by those trained and equipped to work safely. Attention to detail and a focus on providing our clients with exceptional customer service is why Okamoto Arbor-Care, LLC is the best in the Flathead Valley. We provide each and every client with the personal attention they deserve, whether they have one tree or a forest. Expect only the best from Okamoto Arbor-Care, LLC.